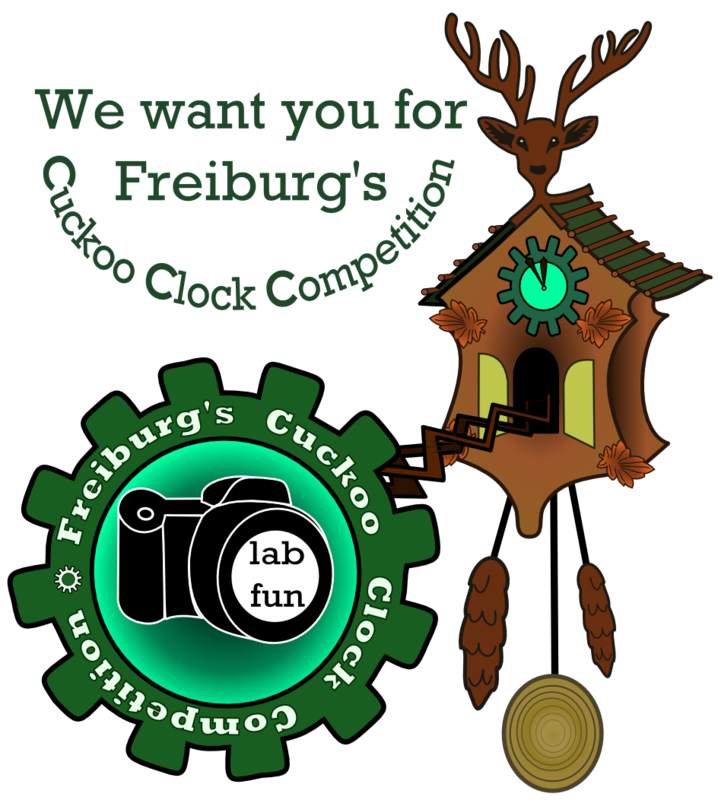 Your pictures will be uploaded to the <a href=http://2010.igem.org/Team:Freiburg_Bioware/NoteBook/Cuckoo_Clock>competition webpage</a> as soon as we get them. In addition, we will send you a participation badge for your team wiki. A judging committee consisting of members from three different iGEM teams will vote for the winner picture. Your pictures will be uploaded to the competition webpage as soon as we get them. In addition, we will send you a participation badge for your team wiki. A judging committee consisting of members from three different iGEM teams will vote for the winner picture. The team with the best picture will receive our amazing Cuckoo Clock in Boston at the socializing event on Sunday. So put your stressful projects aside for a few minutes and take the fun part! Looking forward to meeting you in Boston.